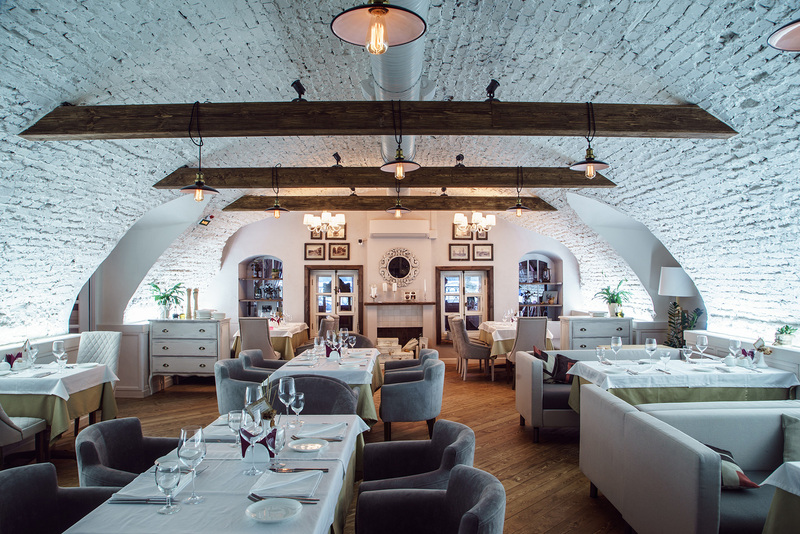 Located in the center of Arkhangelsk, but at the same time, at some distance from the bustle of the city, restaurant “Pochtovaya Kontora 1786”, could not be better suited for lunch or dinner, as well as for banquets, celebrations, birthday parties, anniversaries, weddings and any other holidays which want to be celebrated at the worthy level. The restaurant is counted on 100 seats. Three comfortable halls will be comfortable to each visitor. Fans of the quiet atmosphere are waited by convenient sofas in a “Gallery”. Big windows overlooking the river move apart space and time. “The white hall” of the restaurant hospitably opens its doors: here our guests can have family dinner, organize a business lunch and hang out with friends. “Bar” in the European style is for dynamic, adjusted on active communication people and for fans of live music. You can always be sure that our professional s will recommend you the best gastronomic combinations of food and drinks from our menu and special offers.